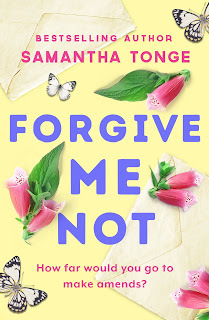 I'm sure you will join me in wishing Samantha Tonge a very happy publication day as her latest novel, Forgive Me Not, is released into the wild. I am delighted to release my review as part of the Rachel's Random Resources publication day blog blitz. How far would you go to make amends? When Emma fled her home at Foxglove Farm, she’d let down and hurt those who cared for her most. But now, two years later, she’s ready to face up to her past; she’s ready to go back. But Emma’s unannounced return causes more problems than she could have foreseen. The people she knew and loved aren’t ready to forget, let alone forgive. And the one person she wants to reconnect with the most, her mother, can’t remember who she is. Sometimes simply saying sorry isn’t enough. Perfect for readers of Ruth Hogan or Amanda Prowse, this is an extraordinary and unforgettable novel about running away from yourself – and finding a way back. I have been meaning to read a Samantha Tonge book for a while now and what a superb book to start with. I have to say that the cover is stunning; it's very hard to tear your eyes away from it but, believe me, it's even better inside. You would be forgiven (despite the book title) for thinking that you are about to read some lighthearted, hearts and flowers chick lit from looking at the cover of Forgive Me Not, however, that couldn't be further from the truth. Absolutely filled to the brim with heartrending emotion, I was surprised to find myself caring about every single character in the book and these feelings remained even after I had turned the last page. 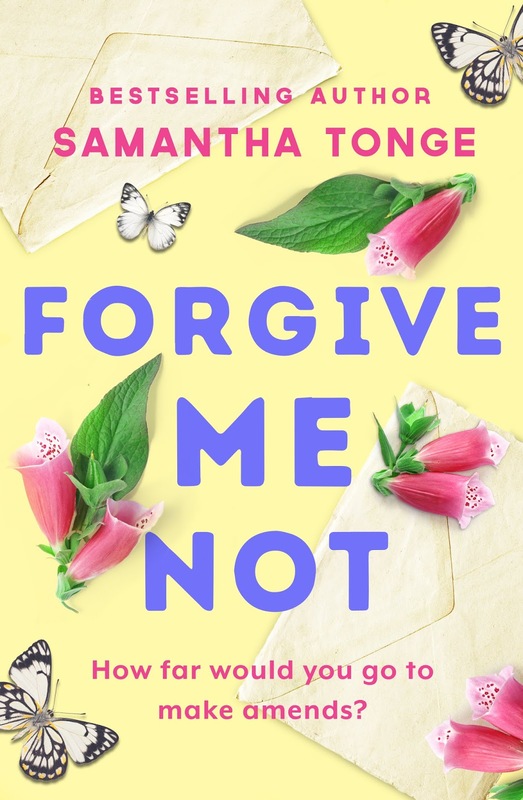 Samantha Tonge writes with such intense feelings that you can't help but become emotionally invested in the story and, with such high quality writing, I was more than happy to invest my emotions in the bank of Samantha Tonge. Emma is our intriguing and complex main character. After leaving home under a cloud she returns to make amends, but the only welcome she receives is from the family's 3-legged dog, Dash. The reader is immediately drawn into the web of intrigue about Emma's past as you wonder what she did that was so bad that her family, friends and even the whole village don't want to know her. As the present day story plays out, the reader jumps on an emotional rollercoaster as we glimpse into Emma's past to fill in the blanks between then and now. 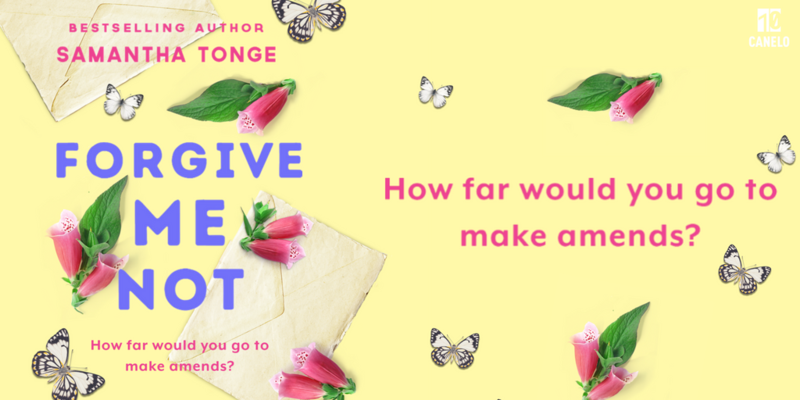 When a family secret emerges that threatens Emma's recovery, she learns that forgiveness is a lot harder to give than she first thought, especially when you must also forgive yourself. 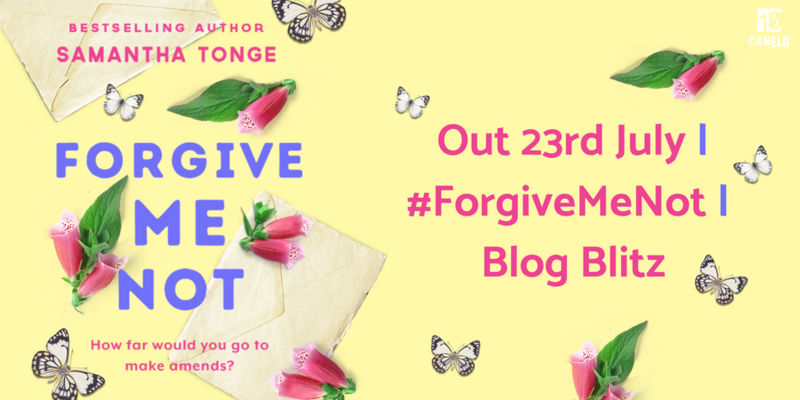 Forgive Me Not is a tremendously engaging, emotional and uplifting book. Emma's strength in adversity is both inspiring and heartbreaking as she carries so much weight on her shoulders and in her heart. It would be easy to turn away at the first hurdle but Emma shows great sense of character when she perseveres to show everyone that she has changed. They might not be able to forget what Emma has done but can they forgive her? A deep and meaningful book that will definitely stay with you long after turning the final page. In fact, the final page just took the wind out of my sails and I can certainly say that I was completely blown away by Forgive Me Not. 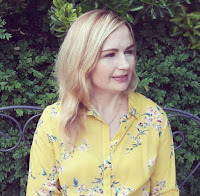 Samantha Tonge lives in Manchester UK and her passion, second to spending time with her husband and children, is writing. She studied German and French at university and has worked abroad, including a stint at Disneyland Paris. She has travelled widely. When not writing she passes her days cycling, baking and drinking coffee. Samantha has sold many dozens of short stories to women’s magazines. 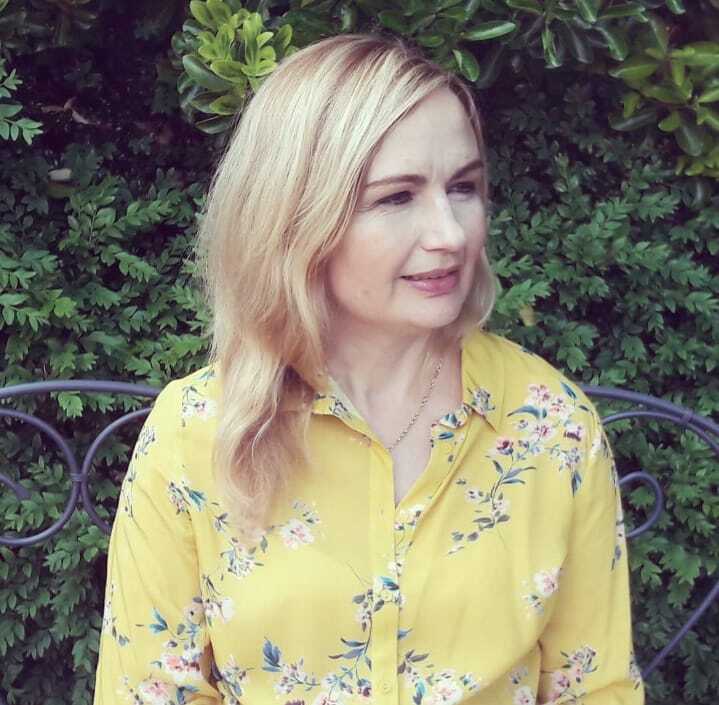 In 2013, she landed a publishing deal for romantic comedy fiction with HQDigital at HarperCollins and in 2014, her bestselling debut novel, Doubting Abbey, was shortlisted for the Festival of Romantic Fiction best Ebook award. In 2015 her summer novel, Game of Scones, hit #5 in the UK Kindle chart and won the Love Stories Awards Best Romantic Ebook category.